Sisters Stephanie and Joanna Tesulme were among the four people shot and killed over the weekend in northwest Miami-Dade. NBC 6's Nathalia Ortiz reports. 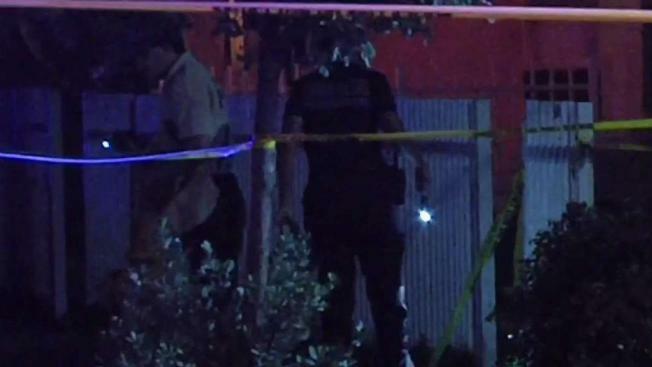 Family members say two sisters were killed and two other people were wounded in an overnight shooting in northwest Miami-Dade. Dozens of rounds were fired during the shooting, which happened in the area of Northwest 19th Avenue and 60th Street early Sunday. Miami-Dade Police officials said the victims were outside a home when the suspects opened fire. Officers received a ShotSpotter signal and responded to the scene. Police identified the two women as Stephanie Telusme, 27, and Joanna Telusme, 23. Two sisters were killed and two others were injured in a shooting in Northwest Miami-Dade. For NBC 6, Katie Johnson reports. Officers tried to stop a vehicle that was leaving the area, but the vehicle refused to stop, and the driver and occupants quickly abandoned the vehicle and fled on foot, officials said. A perimeter was set up and three subjects were detained and were being questioned, officials said. Terry Silien, who is the sisters' cousin, said they drove down from Broward County for a night out and may have been in the wrong place at the wrong time. "It's just crazy, they're not even from around this area, and they go pick up a friend or see a friend, one of the two, and end up getting shot and hit in the crossfire, somebody shooting recklessly, shooting at somebody or whatever, and two sisters are gone tonight," Silien said. 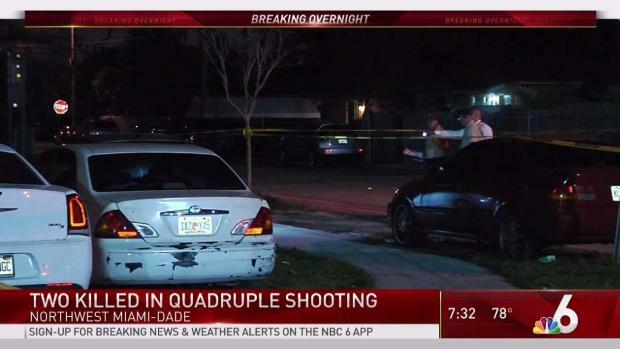 Two sisters were killed in a shooting in Northwest Miami-Dade. NBC6 Reporter Arlene Borenstein reports. The two other people who were injured were taken to Jackson Memorial Hospital Hospital in stable condition. They were identified as Robert Allen, 30, and Jennifer Charles, 24. Family members say two sisters were killed and two other women were wounded in a shooting in northwest Miami-Dade. A GoFundMe page was started to help pay for the funeral services. To make a donation, click here.